In a Nutshell: Studies have illustrated the psychological effect of background music on consumers and how business owners can use it to influence buying habits. However, songwriters and music publishers need to be compensated for their work. That’s where the American Society of Composers, Authors, and Publishers comes in. A professional membership organization run by songwriters and publishers that operates as a nonprofit, ASCAP distributes licenses to businesses who seek the legal clearance to play songs from a growing repertory of more than 10 million works. Merchants, restaurateurs, and any other business owners who want to play popular songs in their establishments pay an average of less than $1 a day to set a rhythm that keeps consumers happy and drives sales. It’s not something we often think about, but music plays an essential role in driving sales at brick-and-mortar institutions. After all, keeping a customer comfortable and in the building is an essential piece of the puzzle. Before he was Executive Vice President of Licensing for the American Society of Composers, Authors, and Publishers, Vincent Candilora was an intrepid young license agent illustrating to restaurant owners and merchants the effect music has on keeping clients in the buying mood. 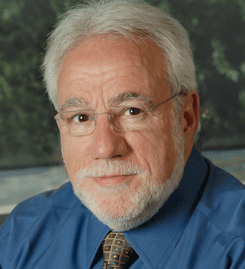 Vincent Candilora, Executive Vice President of Licensing for ASCAP, explained the value background music offers to businesses. A survey titled “Uncovering a Musical Myth” found that 61% of respondents said music is important or very important in their lives, and that number rose to 74% among 16- to 24-year-olds. The same survey revealed that 4 out of 10 consumers who said they appreciated the music playing at businesses were more likely to stay longer, and 14% said they were more likely to buy more. Another finding was that 32% of respondents react negatively or very negatively to silence while shopping in a store. Legally playing music in a public place isn’t as straightforward as pulling up your favorite playlist on your iPod and cranking up the speakers. Laws are in place to ensure musicians, songwriters, and publishers are properly compensated for what is considered a public performance of their work. Obtaining a license through the nonprofit ASCAP is the simplest and most cost-effective way of being legally cleared to play music from a constantly expanding repertory of more than 10 million popular songs. “We represent some of the greatest composers and artists through all types of music, including Jay-Z, Kelly Clarkson, Katy Perry, Billy Joel, Stevie Wonder, Meghan Trainor, and Garth Brooks,” Vincent said. 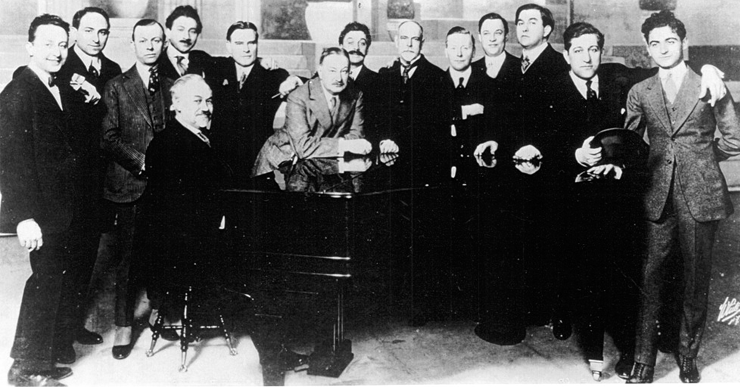 Founded in 1914 in New York City by a group of Tin Pan Alley music publishers and composers, including Victor Herbert and Irving Berlin, ASCAP has a storied history of fighting for musical copyrights. To this day, ASCAP’s board of directors is made up of a dozen songwriters and dozen music publishers. “We are the only performing rights organization in this country that is actually owned by the people who write and publish the music,” Vincent said. ASCAP was created Feb. 13, 1914, at the Hotel Claridge in New York City. The existence of ASCAP simplifies what otherwise would be a painful process. Imagine you’re a retailer or restaurateur who has recognized the need for music in your business. Now imagine having to independently contact the copyright owners of every song you want to play and negotiate the rights to play them. ASCAP is a nonprofit that does the heavy lifting in collecting licensing fees from businesses who want access to songs within one of the world’s largest repertories of music and ensuring that their member base of 600,000 songwriters, composers, and publishers are paid for their hard work. An ASCAP license allows businesses to play music as often as they like from a list of more than 10 million works. Since the organization has been around more than 100 years, the list includes music from every generation and every genre, including pop, rock, jazz, country, big band, and holiday music. Since the music royalties revolve around public performance, the first factor ASCAP agents look at when determining the cost of a license is how many potential customers will be hearing the music. 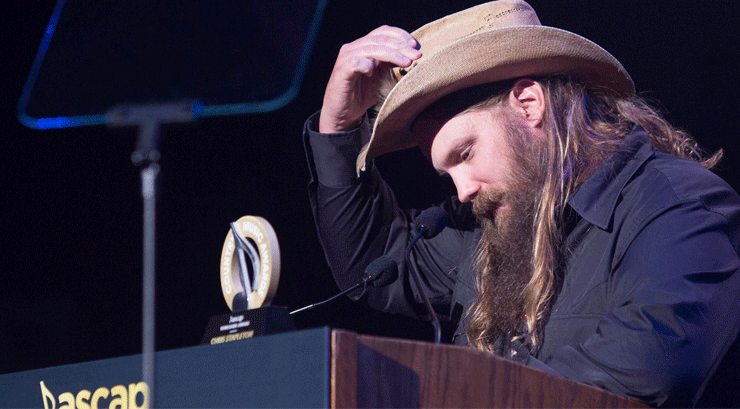 For less than $1 a day, businesses can play music by popular artists such as country superstar Chris Stapleton. For a small retailer with three or fewer speakers, an ASCAP license would cost 65 cents a day ($237 per year) with the option of adding extra speakers for 13 extra cents a day per speaker. Larger chains receive volume discounts per store with the ability to use unlimited speakers. “The rate schedule has different tiers for the number of locations, so if it’s between 201 to 400 stores, 401 to 1,000 stores, it just keeps getting deeper and deeper into discounts,” Vincent said. ASCAP is doing its part to keep licensing fees affordable, which encourages businesses to go through the proper channels to play songs that encourage sales success. Business owners use music to set a rhythm, establish a brand identity, and put customers in a buying mood. The songs customers hear while shopping or eating have psychological effects that can influence buying behavior. For instance, research shows playing up-tempo music can help restaurants turn over tables faster, while playing slower-paced music encourages higher individual tickets. “Restaurants that play slow-tempo music in the evenings lead to people lingering at their tables and ordering desserts, which often have a higher profit margin than the food itself,” Vincent said. Acting as the middleman between those within the music industry and business owners, ASCAP ensures songwriters and publishers get the compensation they deserve for creating music that keeps people buying. 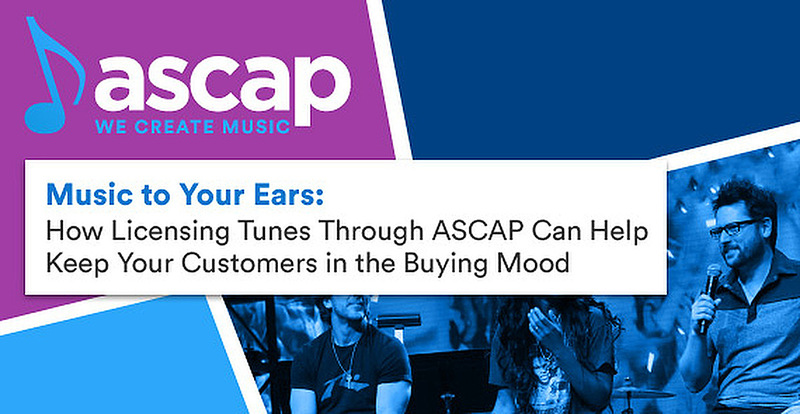 Plus, an ASCAP license helps business owners keep their customers’ feet tapping, and happy customers lead to healthy bottom lines.